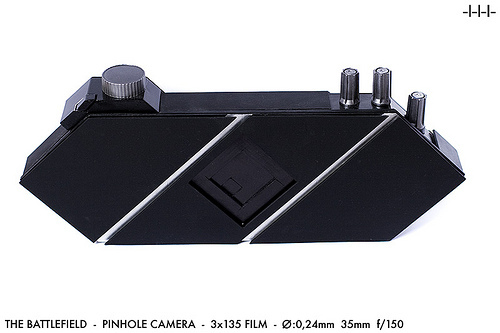 Two things for this quick bit of news — the first is a crazy DIY pinhole film camera that shoots 3 rolls of 35mm film at the same time. The resulting shot is a 4×5″ exposure. I figured it had something to do with this camera… and I was right. Udi went out and put together an insane DIY-how-to article for building one of these things with the help of its creator: Steven Monteau. The guide they put together is incredibly detailed with all the steps needed, plus videos! Dang Udi… thanks for the present! I just might have a go at this thing! Another newsworthy item I came across recently is a video of the Apollo 11 Launch at 500 Frames per Second (found via PetaPixel). This is incredible footage, and it was all caught on film. So there you go — a couple of extreme film photography items worth checking out. This entry was posted in News and tagged camera, diy, Film, News, photography, pinhole, video on April 29, 2010 by Brian Auer. As always, more awesome photography stuff from around the web. Here’s a selection from the last couple weeks. A good overview of the various types of symmetry and how to incorporate them into your compositions for stronger impact. Maternity portraits can be slightly trickier than regular portraits – and by “regular”, I mean people who aren’t carrying 20-50 extra pounds around their belly, and experiencing indigestion and sharp kicks to the ribs! Here are a few keys to taking beautiful maternity portraits. Online photography mags can often be better than print magazines. Here are 10 selections from Photojojo! 22 ways to get your photography in-gear. These are great inspirational ideas from Chase Jarvis. Does sharing photography for free fit into your Business Model? Be sure to check out our first official photo critique on the PhotoNetCast! And in this main episode we address a topic that has been and will still fuel intense debates: How can one fit sharing photography works online, and even allowing free non-commercial use, into a business model? Here’s a quick little Photoshop method for increasing contrast in your photos. Give it a try! You like making your own cameras, right? Of course! 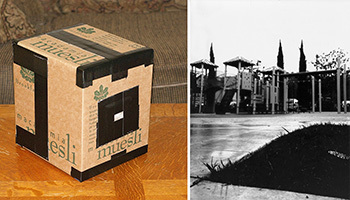 So here are 20 examples of awesome pinhole cameras! Taking great sports action photos doesn’t require the newest auto focus cameras and lenses on the market, it just requires the photographer to have thorough knowledge of the game that is being covered. Here are some tips to get you started. Photographer James Burger walks us through a 108 seconds journey of converting his bedroom into a studio and back. And he does that stop motion, no less. Another amazing set of photos from Zoriah. This one had a strong impact, especially after Zoriah spoke of his personal experience of losing his Father to AIDS. This entry was posted in Roundup and tagged camera, critique, inspiration, links, magazine, maternity, News, photography, photojournalism, pinhole, portrait, Roundup, sports, studio, symmetry on May 24, 2009 by Brian Auer. Great stuff — check it out! A great selection of photos from the year of 2008. I’m sure most of us read the “What The Duck” comic strip, so this interview from Jim Goldstein is a real treat! Here’s a neat little DIY project for you pinhole enthusiasts. I haven’t tried it myself, but I’m very temped to. My buddy Neil Creek shows off his first roll shot with his Father’s TLR. 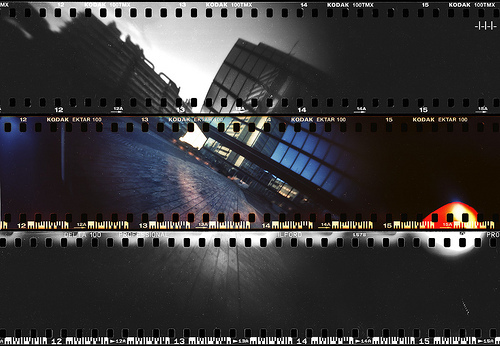 Great shots, especially from a first roll! Here’s a great guest post from Joey Lawrence full of awesome insights. Ever wonder what the insides of a dSLR look like? Here you go! The Kenyan government has declared a national state of emergency as several million people face food shortages. Here are some heart-wrenching photos that cover the story. Here are a few random tips for coastline landscape shots as well as a few images to hopefully inspire you. Feeling stuck? Here are a few tips to get your groove back on. Here’s a nice little tutorial for creating high contrast b/w photos in Lightroom (or Adobe Camera RAW). I tried it out and it works quite nicely. This entry was posted in Roundup and tagged camera, coastline, famine, Film, lightroom, links, News, photography, pinhole, Roundup, tips on February 8, 2009 by Brian Auer.